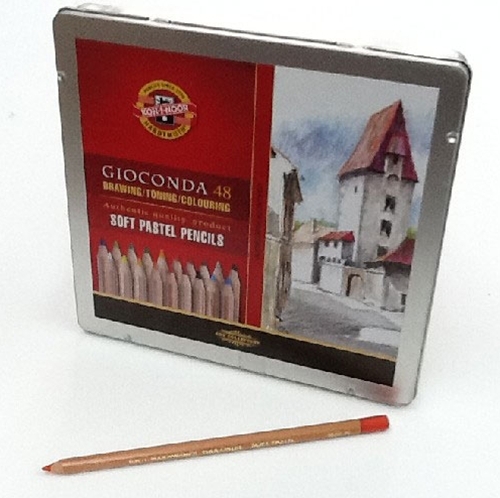 Gioconda 48 Pastel Pencil Set in a Metal Tin - The key components of these pencils are the pure, micro-pulverized natural substances on a base of calcium carbonate. Together with top-quality additives and binding agents, a perfect base mixture is created into which colour pigments are carefully mixed. The pigments are sourced from all over the world and their quality, light permanency and dosed concentration influence the final result as well as the durability of the artworks. 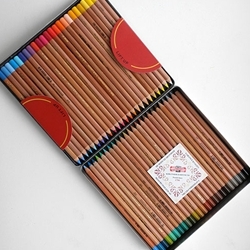 With a 4.2mm diamter lead, this pencil provides excellent artistic potential for all users. The mature wood casing allows quick and easy sharpening, making it possible to draw even very fine details. 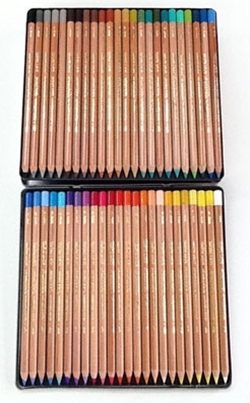 They are therefore suitable for detailed drawing as a supplement to round soft pastels.